Throughout the school year, Principal Rick Parsons writes to SHS parents, faculty and staff about the strategic direction, philosophy and ethos of The Sterling Hall School. His messages are published in our newsletter, Sterling Notes, and we are pleased to share some of these messages here. Please click on the links below. One of the many benefits of Sterling Hall’s membership in the IBSC (International Boys’ School Coalition) is the opportunity to collaborate with educators from around the world as we collectively seek to enhance the education, well-being and development of boys on a global scale. 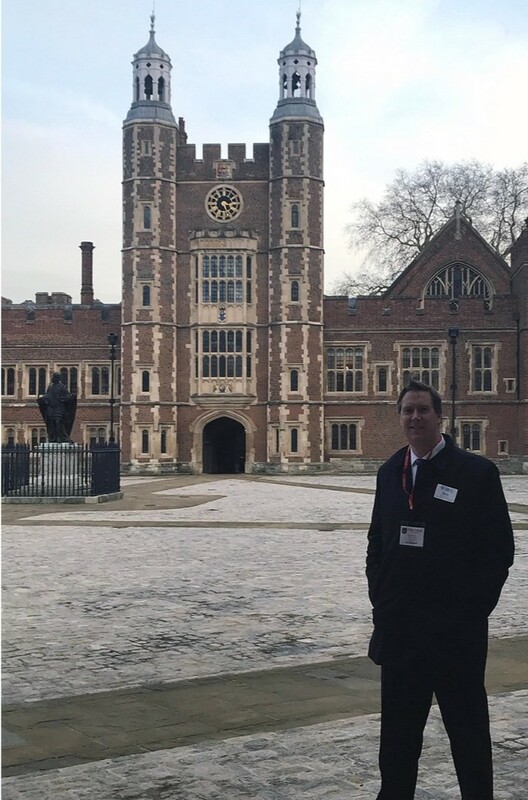 At the IBSC Board meeting in January at Eton College (a school for boys founded in 1440 by Henry VI of England), I was struck by the depth of strong school traditions as well as leading-edge new practices—many powerful influences that were demonstrated and cited by the Heads of boys’ schools from around the world. Sterling Hall’s participation in the IBSC provides the advantage of taking part in global research initiatives. IBSC is commissioning, funding and, in June, disseminating the initial academic research of Dr. Ada Sinacore at McGill University. Her research, entitled Responsible Sexual Citizenship in Today's World: The Challenges Confronting Boys, is of significant importance in the character education, and health and well-being of our Grade 7 & 8 boys. Dr. Sinacore is examining issues of gender and sexuality, sexual knowledge, consent, digital literacy, ethics, responsibility, media and sexually explicit images. These are topics of vital importance during the #MeToo era and within the scope of decision-making for young men. We aim to educate boys on healthy relationships and interaction as part of a fulfilling and happy existence. Dr. Sinacore’s research will yield practical applications for program design, resources and teaching practices, enhancing our understanding and directing our next steps in support of our boys’ learning, health and well-being. Dr. Alex Russell will visit us next month in the third installment of our Health & Wellness Speaker Series. He appeared on TVO’s The Agenda in December in a fascinating panel discussion Boys Will Be…Men—The Limits of Masculinity. Dr. Russell will continue this conversation when he is here on Wed, April 24. Talking among experts, sharing strategies and examining emerging research are ways of ensuring Sterling Hall remains at the leading-edge of educating elementary boys. Our membership in the IBSC and my role as a Trustee on the Board allow SHS to be at the forefront of global discussions on learning and new research, placing Sterling Hall in the strong and enviable position to deliver best practices in boys’ education from around the world. As we move towards the end of our 31st year, I will admit that I find it bittersweet. We have witnessed a monumental year in the history of the school, celebrating our 30th birthday and finally, after years of work, finalizing the purchase of the property from the TDSB in November 2017. We have cemented The Sterling Hall School in its location as a permanent institution on the Canadian educational landscape–a legacy for years and generations to come. At the same time, we must say goodbye to one of the original architects of our great school. At the year’s end, we must wave goodbye to James Macdonald, an intrepid leader of SHS, who has helped to shepherd the school through the entirety of its 31 years of growth. While clearly sad, it seems only fitting that James chooses this year to retire, with the school’s permanency at 99 Cartwright Avenue confirmed, on the heels of our 30th birthday celebrations, and with the school’s strength at an all-time high. There is no one who has devoted more time, supported more boys, counseled more families, encouraged more faculty and staff, or guided more principals than our very own school sensei. To say that our community owes a debt of gratitude to James is an understatement of colossal proportions. James has provided the moral compass for all of us for over 30 years. I have personally limited my snowball throwing, parking decisions and hallway running in deference to our safety leader! But James is far more than this. We devoted our recent Primary/Junior Assembly to the boys’ words of wisdom, anecdotal observations and creative tributes to our special Vice Principal and it was inspiring. To hear the boys’ observations and affectionate advice was heartwarming and very meaningful to all, since they were giving us all voice to our common sentiments. Somehow I think it meant more to James, coming from the boys… he will tell you that they have always been, and will continue to be, his inspiration. As we close out the year, with all SHS’s accomplishments reflected in its short, but rich history, perhaps it provides a fitting conclusion for a man who has devoted his adult life to our precious institution. SHS is a culmination of a career’s work–a vision made permanent; a culture cemented; toil and love crystallized into the knowledge that inspired and empowered little sharks will be swimming for generations in the special sauce that James Macdonald helped to create. That we have sustained the recipe that makes SHS so special is a testimony to James’s care, love and leadership. That he has bestowed us with a school unparalleled in its commitment to relationships, care for community and dedication to boys’ learning is a testament to his values and dedication. The unique culture of care, love, hope and dedication to those around us reflects the power of his legacy. As we reflect on these gifts, how can we feel anything but gratitude? And yet it feels bittersweet. Leadership and generosity within the Sterling Hall community have been overwhelmingly abundant this past year. Thanks to the outstanding leadership of our campaign co-chairs, SHS parents Heather & Michael Faralla and alumni parents Jennifer & Randy Marks, our cabinet members and everyone who donated, we successfully completed the Building Leaders campaign, raising a record $5.6-million. Our new wing and facilities are in full use, teachers and boys are inspired and the school incurred no debt in the building process. Six large, modern classrooms, break-out learning and community gathering spaces, hallways full of natural light and new indoor and outdoor recreation spaces enhance SHS academic, athletic and recreation activities. It is the efforts of many that have always led to our achievements at SHS, and the success of the Building Leaders campaign further demonstrates our community’s extraordinary passion for and generosity towards our beloved school. Models of community at its best, our SHS families demonstrate to our boys what leadership looks like. At Sterling Hall, we are educating boys to be leaders, within their communities and as citizens of the world. We strive to provide leadership opportunities throughout the student experience. Boys take on greater responsibility as they progress through their years here at SHS, both formally and informally. Students at various grade levels mentor younger boys and we challenge all boys to look out for one another and lead by example. Every Grade 8 student assumes a formal leadership role but opportunities are available for all students from JK to Grade 8. In each of these positions, boys apply their creativity and ambition to take their jobs as far as they can imagine. We also provide boys with authentic learning experiences beyond our immediate school community. These service learning opportunities help to reinforce our belief that service is about roles and responsibilities, and inspire our boys to reach beyond preparing them for a future of opportunities in a changing world. In March, a group of students visited Ecuador, where they stayed in the village of Sablog, building the foundation of a primary school. Imagine the enormity of this experience of service to others - all in a different country, culture and language. Strengthening their independence, self-confidence and understanding of diversity in a global world, experiences like these develop leadership skills that will last a lifetime. We invited Maximum City, a Toronto-based company that focuses on city building, to SHS in April, to collaborate with our Grade 6 students on a project to improve the Orfus Road area. Excited by the inter-disciplinary, inquiry-based tasks the project presented, the Grade 6s toured the Orfus Road area, created maps, built models and presented their proposals to our local Councillor and the SHS Board of Governors. Collaboration between the students, Maximum City and neighbourhood businesses motivated our boys to return to Orfus Road after the project – to clean it up themselves! In one afternoon they removed 25 large bags of refuse from the public green space. We are a uniquely caring community; Sterling Hall parents have consistently demonstrated the qualities and values we nurture in our boys. Leadership, engagement and contribution are hallmarks of the Sterling Hall community, demonstrating the very characteristics we strive to inspire in our boys. I am very proud of what we have accomplished together this year - for our boys, for our school, and for the community, locally and globally. I sincerely thank our Sterling Hall community for setting an example and demonstrating the true characteristics of leadership. The Sterling Hall School has received an outstanding review in a summary report from the Canadian Accredited Independent Schools (CAIS), a national organization dedicated to educational excellence. Member schools undergo a rigorous accreditation process approximately every seven years to ensure that they meet CAIS’s national standards of excellence. You may be aware that Sterling Hall completed this extensive review in 2015-2016, which included an internal examination of our programs and practices and an external, peer review by a committee of educational experts. “The Sterling Hall School (SHS) can be tremendously proud of creating a welcoming, friendly and intellectually stimulating environment where boys most certainly belong. How children carry themselves in a school is a clear indicator of how they are treated and the boys at SHS are confident, proud, respectful, inquisitive and busy. It was evident throughout our stay that boys are thriving in an environment where daily positive feedback from teachers, mentors, advisors, administrators and the principal is the norm. The boys of SHS have a strong sense of pride in not only themselves but also in their school. During their time at SHS, the seven visiting committee members made 45 classroom visits, and spoke with every teacher as well as many students, parents and Old Boys. The committee reported that they, "observed a like-minded team of passionate teachers and administrators who spoke at length about their common work to maximize learning for boys… In terms of academics, SHS provides an active learning environment that focuses specifically on the needs of boys’ learning...Through survey analysis, observations at the weekly assembly, classroom visits, and in speaking to students, it is evident that students love their school and enjoy their dynamic learning environment." Every SHS faculty and staff member of the school participated in our internal review process. This was an exceptional opportunity for us to assess and examine our practices across all areas of the school – from academic and co-curricular programs to finance and physical plant – ensuring that they are at their very best as we strive to meet our strategic priorities and objectives. As teachers, we espouse the value of self-assessment to our students and this internal review process has certainly underlined the benefit of self-assessment to all of us. Areas for improvement were identified and strong programs were recognized. We were fortunate to have an exceptional visiting committee including seasoned professionals representing all aspects of school academics and administration. Their collective expertise ensured that we benefitted from a thorough and thoughtful review, supported by years of experience. The committee was chaired by Tim Peters, Head of The Priory School in Montreal, and included six other heads, former heads and directors of schools. I am deeply grateful for their significant effort and know their feedback will be beneficial to SHS as we strive for continuous improvement. The CAIS Accreditation Report affirms the progress we have made in embedding our strategy into everything that we do. Sterling Hall received commendations for our strategic planning efforts, citing the "collaborative nature" of our process, our "succinct messaging from the Sterling Strategy 2014+ to encompass Sterling Learning, Sterling Character and Sterling Community," and the work of the Board of Governors and administration to deliver a "clear, focused and data-driven implementation of mission, vision, values and strategy." The report commended our character education initiatives, the outstanding breadth and depth of our physical activities and sports offerings, and the organization and focus of our co-curricular programs. Our graduate placement program was lauded as helpful and supportive for both students and parents. 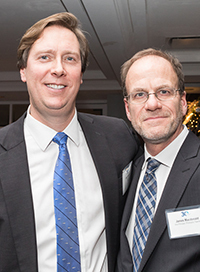 Sterling Hall’s school community was recognized for its long-term commitment to service learning and citizenship, and our community’s incredible support for the Building Leaders campaign was recognized as extraordinary. The report recommended that we continue work in specific areas: employee management, including systems to ensure that human resources policies remain current as legislation changes; implementation of a new annual plan for employee health and safety training; continuation of the important work that has been done on our assessment practices; and integration of our financial, enrolment management and human resources plans into our long-term strategic plan. The results of our re-accreditation have been reviewed with the Board of Governors, the Strategic Leadership Team and faculty and staff. Members of the Strategic Leadership Team have been given responsibilities to oversee our work in addressing recommendations, with input from faculty and staff throughout the school, and will report to me on progress throughout the year. We will continue to update the Board of Governors and will report on our progress on the recommendations to CAIS next fall. I look forward to sharing with families the enhancements that we make based on the recommendations from our CAIS review and our long-term, strategic planning. There is much to celebrate from this review. The process was highly engaging for all faculty and staff and resulted in tremendous depth and breadth of self-reflection. The visiting committee members were thought-provoking, insightful and enthusiastic guests and truly a pleasure to host. Their genuine appreciation for SHS and recognition of our strengths was often expressed. Our students and families welcomed them warmly and made us all proud of our Sterling community. The reports that were produced -- both our internal evaluation and the external committee report -- affirm our school’s exceptional strengths and identify areas for growth that we have a clear understanding of how to address. As a member of the Canadian Accredited Independent Schools, Sterling Hall has demonstrated that our school upholds national standards of excellence and is seen as a leader among CAIS schools. It is a pleasure to celebrate this recognition with our school community. Grade 8 is the culminating year of a boy's academic, character and leadership development at SHS. From one grade to the next, boys take on increasing challenge and responsibility. In Grade 8, every boy has the opportunity to serve as a student leader of the school and gain valuable experience as one of the "biggest boys" in athletics, experiential learning and student life. An important part of the Grade 8 journey for each Sterling Hall boy and his family is planning his next steps and selecting a secondary school that is the best fit for him. Throughout this process, we support him and help provide him with the tools to succeed in the application process. Over the past five years our graduating students have achieved excellent results, with more than 88% receiving offers from their first choice of secondary schools. This year is no exception. Each of our Grade 8 boys received offers from one or both of his top two choices of schools. Congratulations and well done, Class of 2016! We have developed excellent relationships with our feeder schools and their admission teams, and several admissions officers have commented on how successful Sterling Hall boys are in their new school communities. It is wonderful to know that our boys are successful in their transitions and are making positive contributions beyond Sterling Hall. At the other end of the Sterling Hall continuum, we are thrilled with the number and quality of applications that we have received for 2016-2017. The competition has been strong, particularly as our attrition rate is much lower than in past years and we have fewer spots to offer. Please see the admissions update in this issue of Sterling Notes. We enjoyed hosting SHS families and Governors Club members last Thursday evening for a Sterling Builders reception and tours of the new wing. It was a wonderful celebration of the support that we have received to date and the incredible progress that has been made with the building. More news of the event will follow in the next issue of Building Leaders campaign news. For now, I am delighted to have shared this wonderful evening with so many supporters of the school, adding to the excitement as we work to complete the building and the campaign. I'm not sure who is more excited to have their first class in the new wing -- the boys or their teachers. I hope your family enjoyed a restful break on Monday as we look forward to the next several weeks of events and activities at SHS. What a wonderful start to the 2015-2016 school year. It has been a pleasure to see our new and returning boys smiling and excited in the hallways and classrooms, on the field and on trips during the first few weeks of school. With September under our belts, I would like to take this opportunity to write to you about our Sterling Strategy. As a school for boys from JK – Grade 8, our singular focus is to deliver the best education for boys in their formative years. The Sterling Strategy, published in 2014, outlines our objectives and priorities that will lead to our success in this endeavour. If you would like to review the Sterling Strategy and my letters sent to our community in 2014 introducing our core values of Sterling Learning, Sterling Character and Sterling Community, please click here. I am delighted to witness our progress related to the Sterling Strategy and convey goals that are central to our strategic work this year. In 2014-2015, we successfully implemented a number of priority projects related to the objectives of Learning, Character, Community and Future. We completed extensive program development in literacy, numeracy and integrative studies, as well as an overhaul of our assessment practices and report cards. Our Building Leaders campaign for an exciting new wing launched in November 2014 and construction is now well under way, including spacious classrooms for Grades 6, 7 and 8, new indoor and outdoor athletics spaces and community gathering areas. Our community has demonstrated tremendous support for the campaign and continues to be actively engaged in meeting our $5-million goal to complete the project. This year, in order to effectively deliver on the tactics of our Sterling Strategy, we are undertaking new initiatives in two areas: developing and strengthening the organizational leadership groups within the school; and, implementing projects to facilitate whole-school improvement. The Strategic Leadership Team (SLT) is made up of directors from across the school and this group is responsible for building, implementing and assessing the tactics of our strategic plan. The SLT was formed in 2012-13 and, this past summer, we were pleased to introduce three new members who have already proven to be great assets to the team. Jennifer Colleran joined as Director of Teaching and Learning, along with Grade 8 homeroom teachers Elizabeth Gray and James Hay. For those who may not be familiar with James and Elizabeth’s roles beyond their homerooms, James Hay has led several faculty development and character education initiatives and has been promoted to Director of Faculty and Program Development. He is currently leading work in the development of a peer coaching and Faculty Growth model to be implemented in conjunction with our Annual Learning Plans (ALPs), which all faculty submit annually and review with me. Elizabeth Gray has been promoted to Director of Graduate Placement. For many years, Elizabeth has overseen the Grade 8 transition to Grade 9, with great success. As an example, this past year, thirty-one of our thirty-five Grade 8 graduates received offers from their first choice of schools and every graduating student received an admission offer within the first week of the admission process. Elizabeth’s leadership in this area contributes significantly to the positive experiences of our graduates each year. In August, we held an SLT retreat where we welcomed and oriented our three new members and articulated our mandate as a leadership team. This was an excellent, early start to the year as we prepared for several strategic initiatives in 2015-2016. Click here to see the full list of SLT members, the role of the SLT and our expectations for Sterling teamwork that we shared with all faculty and staff during our Professional Development week prior to school commencing. As our new Director of Teaching and Learning, Jennifer Colleran’s role is to steward the articulation and growth of the academic curriculum throughout the school. Working collaboratively with teachers and parents, Jennifer spends time in classes as well as planning meetings to identify and develop next steps in teaching and learning at SHS. Jennifer is an expert in curriculum sequencing and learning outcomes and, under her guidance, teachers will work this year to centrally record the innovative approaches and enhanced teaching models that they use in their classrooms. The product of this consolidation will be a comprehensive mapping of our curriculum. It will enable us to review and assess our overall curriculum, identify any learning gaps and make effective plans for whole school, academic improvement. This is a vitally important project as we continuously strive to enhance the academic excellence of our program. Of the thousands of private and independent schools across the country, there are 96 schools that are members of the Canadian Accredited Independent Schools (CAIS). Sterling Hall is one of them. CAIS member schools have undergone a rigorous accreditation process and have met CAIS’s national standards of excellence. As a CAIS member, we complete an accreditation review approximately every seven years and I am delighted to report that Sterling Hall will complete a review this year. For more information about CAIS and our affiliation as one of Canada’s top schools, I invite you to read a letter from Ann Marie Kee, Director of CAIS. Our CAIS accreditation review includes two components, an internal review of our programs and practices and an external, peer review by a committee of educational experts selected by the CAIS executive. Our internal review is being led by The Sterling Institute and every faculty and staff member of Sterling Hall is participating under the direction of Institute Manager Erica Sprules. Erica’s outstanding organizational and project management skills are guiding us through this process. If you would like to read more about the CAIS accreditation review process, please click here. Watch for more information to be posted this fall on The Sterling Institute wall, located outside the Phelan Learning Commons. The CAIS accreditation review process provides us with an exceptional opportunity to assess and examine our practices across all areas of the school – from finance and physical plant to academic and co-curricular programs – ensuring that they are at their very best to as we strive to meet our strategic priorities and objectives. We are delighted to embrace the opportunity for improvement, for the benefit of our school and, ultimately, our boys. One of Sterling Hall’s greatest strengths, as attested to by our Old Boys and alumni families, is the character development that we provide for boys during a pivotal period in their lives. As part of our strategic focus on character education, we have initiated several programs, including a Characters in Action plan for each grade, a Grade 6 – 8 peer mentorship program known as Advisory Groups, and the alignment of our clubs with the development of specific character strengths. In September, we established a leadership group, known as the Student Life Co-ordinators, to execute our strategic priorities related to character education. This group is working to align character learning in the areas of athletics, arts-based co-curricular activities, clubs, service learning, House activities and experiential learning. The goal is to purposefully deliver character development outcomes that are aligned across these areas from Kindergarten to Grade 8. You may have already recognized specific character goals associated with each published club; we are continuing to purposefully imbed and align our character expectations and values so that they will be reinforced and resonate for our boys. These individuals all bring to the group extensive experience and a passion for their program areas, making this a team that is full of energy, expertise and enthusiasm. I anticipate that they will accomplish great things this year, both individually and collectively. The Building Leaders Campaign Cabinet and lead donors have taken incredible leadership in advancing our strategic goal. It is telling that campaign support has come from current and alumni families across the school and across the years. Our small-school community is loyal and aligned in bettering SHS for the benefit of today’s students and those yet to come. The Campaign Cabinet is co-chaired by current parents Heather & Michael Faralla, who have three boys at SHS, and Jennifer & Randy Marks, alumni parents with three SHS graduates. With Jane Langford, new Chair of Advancement and member of the Board of Governors, and an active cabinet they are ensuring that every family is aware of the campaign priorities and asked for their support. Their collective efforts are remarkable and as a result we have raised over $3.5 million to date and will surely top the $5-million campaign goal. Throughout the year, we will continue to engage boys in wonderful learning and growth opportunities, to deliver an exceptional educational experience for each boy at SHS. And, of course, we are eagerly monitoring the construction of our new Building Leaders facilities along with our boys and families -- and the many Old Boys who stop by for a peek at what’s going on at Sterling Hall. I look forward to sharing the remainder of this wonderful year, full of activity, with all of our SHS families. Wow -- what a day! Our faculty and staff were entertained and pampered from the moment they walked in this morning. Today's events reflected everything that is special about Sterling Hall. It brought together parents, boys, faculty and staff in a gesture of appreciation that has left us all feeling inspired, invigorated and full of positive energy to take back to the classrooms and our work at SHS. In true Sterling style, boys were central to the activities, with more than ninety boys participating. The assembly was superbly emceed by Sam and Shael, Grade 7. Grade 4 boys performed a fantastic SHS mash-up of We Didn’t Start the Fire and All Star, incorporating the name of every faculty and staff member. There were clever games, with boys from across the grades in a spelling bee, SHS Feud and Jeopardy among other fun games and videos. The creativity and talent that our parent volunteers, co-ordinated by Elisa Garay and Shari Goldberg, put into crafting the tribute and these games was extraordinary. Thank you, SHS parents and boys, for such a wonderful tribute assembly. Special thanks for the delicious breakfast and luncheon, co-ordinated by Cat Ferguson and Heather Partridge. It was a spectacular spread. Talk about having ‘your game on!’ Parents and boys demonstrated exceptional caring and leadership within our community today. Speaking of leadership within our community, our Student Council organized a Spirit Week last week with fun themes for everyone to participate in: crazy sock day, crazy hat day, jersey day and the ever-popular grub day. Led entirely by SHS boys, it was a great week that got everyone involved and raised spirit throughout the school. Kudos, Student Council. Our community continues to impress in other ways. The support that SHS parents, alumni families, Old Boys and friends have shown for the Building Leaders campaign is remarkable. As you may have read in the campaign newsletter mailed this week, we are more than half way to our $5-million goal. Thank you to our donors and our Campaign Cabinet for their leadership gifts. We continue to look to our community for support as we aim to break ground in June and, ultimately, reach our $5-million goal. Looking ahead to parent-teacher conferences next week, we will be engaged in one of our most significant community efforts – our collective focus on the academic and personal growth of each Sterling Hall boy. In my last Sterling Notes message, I encouraged parents to frame their conversations about report cards around a growth mind-set. A link to that message and the research article it is based on is included here, for your reference. I hope that you will find your conversations with your son's teachers helpful as a tool to collaborate in support of his learning and personal growth. I am optimistic that, working together, we will continue to enhance your son’s educational experience at SHS. Earlier this month, I had the privilege of sitting down with our Grade 8 boys, the graduating Class of 2015, for a Grad Lunch hosted by the Advancement office. Boys were invited to learn more about the SHS Old Boys Association and how they can stay in touch with the school and fellow alumni after they graduate. We were delighted to have Sam Mandlsohn, Class of 2010, join us as a special guest. 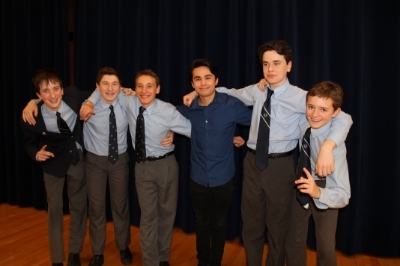 Sam spoke with Grade 8 boys about life beyond SHS and shared a perspective that most boys simply cannot understand right now, but will soon experience. He predicted that they will look back at Sterling Hall and treasure the experiences and friendships they gained here. As proof of this, Sam mentioned that he and several of his 2010 classmates have organized a class reunion and are looking forward to seeing one another this spring. He explained to boys, “Sterling Hall is unique. You won’t find anything like it out there. Soon after you leave, you will realize what a special place this is and what special people these are.” I know I speak for all the teachers and staff in the room when I say we were deeply touched by Sam’s words. Sam attended Sterling Hall from Kindergarten through to Grade 8. He graduated from Upper Canada College last year and was the recipient of the J. Herbert Mason Medal. This medal is one of UCC's most prestigious awards and recognizes leadership, strength of character and moral courage. It is voted on by the school's students and faculty. We are very proud of Sam. He is not only an incredibly bright and talented young man, but he has a deep desire to make a positive contribution to the world. He regularly attends Old Boy events and is a valuable member of our Old Boys Association Navigation Team. Sam is an excellent example of Sterling Character. Many Old Boys, including Sam, come back and tell us that they attribute their successes to the years they spent here -- particularly Grade 8, with the opportunities for leadership and personal development that they were offered in their final year. Their words are both inspiring and validating. We are a small school that is focused on the early, formative years of a boy’s life. Here, boys grow together, form lifelong bonds with one another and their teachers and build the confidence they need to be leaders in their pursuits. How fortunate we are to participate in their journey. The Class of 2015 looks ahead with anticipation and excitement. They will continue to grow and develop here at Sterling Hall over the next few months as they prepare for the transition to Grade 9. The faculty and staff of Sterling Hall are with them, every step of the way. We look forward to celebrating their successes with our graduating boys. Hopefully they will be organizing their own 5-year reunion in 2020! Occasionally, I come across a research article that I believe every parent and educator should read. Earlier this month, Scientific American magazine published an article by Stanford University psychologist Carol Dweck, titled, “The Secret to Raising Smart Kids,” which is incredibly valuable to parents and teachers. I have included a link to the full article here. It is a fascinating read and is well aligned with our approach to academic and character education at Sterling Hall. I have been a huge fan of Professor Dweck for many years. Dweck was keen to explore how people's mindsets impact their growth. Consequently, her findings reveal an important roadmap for how parents and educators can better foster this positive development in children. Children who are praised for hard work and achievement better develop what Dweck coins a 'growth mindset.' They believe they can expand their intellectual skills through effort and perseverance. These children are “mastery-oriented and want to learn. They see challenges and mistakes as energizing rather than intimidating.” It is no surprise that these children are more likely to be high achievers in school and in life. As a small, K-8 school, Sterling Hall is uniquely able to provide boys with the opportunities they need to develop a growth mindset during a critical, formative period of their lives. We get to know each boy and we provide him with a safe, supportive environment in which he can reach beyond his own limitations, take risks, try new things, make mistakes and, ultimately, learn to succeed through effort. Each performance, successful or not, is a building block for accomplishment and an opportunity to develop resiliency. We recognize the importance of resiliency and grit through the research of key figures such as Martin Seligman and Angela Duckworth, whose work is the cornerstone of our character education initiatives at SHS. Our assessment and reporting practices directly reflect this research and I thought it fitting to highlight these as we prepare Term 1 Report Cards. Our assessment model supports and encourages a growth mindset. Report cards focus on achievement of learning goals and mastery of learning skills, with level indicators to measure progress. This enables each boy and his parents to be engaged on his learning accomplishments and his learning goals. Please take the time to review your son's report card with him and use it as a tool to have a conversation. I encourage you to praise specific examples of the effort and industry that he has invested in his achievements, and discuss opportunities and next steps for his learning and growth. Hard work, determination and a willingness to embrace challenges will ultimately lead to success for our boys in their academic careers and their lives. How you frame your conversations about his report card will be an important factor in promoting your son's growth mindset. Let's work together to cultivate this perspective. At this time of year, we have much to be thankful for at The Sterling Hall School, including the wonderful gift of music that we enjoyed at yesterday’s Winter Concert. Congratulations to our boys, who performed beautifully. The Art Team's introduction set the stage, the solos were magnificent, and the original tunes were a treat. Well done, boys! Thank you to our music teachers who support the musical development of our boys and help them to discover their individual and collective musical talents. Special thanks to our SHS parents, grandparents, families and friends, who were such a receptive and appreciative audience. It is delightful to see families marveling at the wonderful performances of their boys. Today’s long-awaited Shark Raffle and Bake Sale were a huge hit with boys, families, faculty and staff. The raffle prizes have tantalized boys and the delicious smell of peppermint bark in the hallways has had our mouths watering for weeks. Thanks to the extraordinary efforts of our parent volunteers, the day's festivities exceeded all expectations. Events such as these remind us of the wonderful community we share at Sterling Hall. My thanks to our parents who give their time and energy throughout the year. I am deeply grateful to our boys, our families and our faculty and staff for the many ways in which you support and enrich our community. The new year promises to be just as exciting as we embark on our Building Leaders facilities expansion plan. There is a fantastic buzz in the school right now, fuelled by eager anticipation. Most commonly, I hear from parents who are delighted to know that, with a successful campaign, boys will be able to enjoy the new facilities as early as May 2016. The new facilities will provide a dedicated wing for our Intermediate boys in Grades 6, 7 and 8, new athletic spaces indoors and out, refurbished classroom spaces throughout the school and new furnishings in every classroom. The expansion is purposefully designed to meet the learning needs of boys during these formative years and will give strong support to our exceptional program. I am thrilled that we are moving forward with this project, thanks to remarkable, early support from members of our community. We will continue to communicate about the Building Leaders campaign, the construction plan for the new facilities, and how each Sterling Hall family can participate. There is much excitement still to come in 2015, and we look forward to sharing it with you. I wish you and your family a restful and rejuvenating winter break and invite all of us to remember and thank the people who make our lives special. May you share the gift of time with them over the next few weeks. Earlier this month, we experienced what I would describe as the power of the Sterling Hall community. Our PA President saw a need for communication with parents. She brought forward an idea to host a parent information session, titled There’s No Place Like Sterling Hall, with information about the Grade 6, 7 & 8 years at Sterling Hall. We were able to bring alumni parents and Old Boys back to the school to share their experiences of the intermediate years and the transition to Grade 9, along with faculty members Elizabeth Gray and Andrew Kilmer. The event was organized within a matter of two weeks and was publicized by parent Grade Reps. More than fifty parents attended and, by all accounts, it was extremely worthwhile. This remarkable effort involved many members of our community who were actively engaged and supportive. My thanks to Ellen Storfer-Rainford for her leadership in making it such a success, and to all those parents and alumni families who participated. Student leadership is an important part of the Sterling Hall experience and is particularly emphasized during the intermediate years. We know that boys at this age of early adolescence benefit tremendously from leadership opportunities. We also know that Grades 6, 7 & 8 can be challenging for boys. The journey is sometimes difficult. Yet, we have seen that our graduates come through these years so well! At the information sessions, alumni parents told stories about their sons’ experiences of Grades 6, 7 & 8 as a time of growth, maturity and leadership development, guided and supported by the special community of SHS. This community helps boys not only to negotiate the early adolescent years, but also to build confidence and resiliency, and learn to self-advocate before learning to lead and advocate for others. No other independent school's intermediate program compares with that which is offered at SHS. In recent weeks, we have had visits from several Old Boys who exemplify the confidence, courage and leadership we seek to inculcate in our boys. They are exceptional role models. Our boys admire them. Our teachers and staff are proud of their accomplishments. Their stories demonstrate that, here, boys find themselves. We have seen first hand that Sterling Hall boys graduate as responsible young men of strong character. Repeatedly and consistently, they say they wouldn't trade their intermediate and graduating years at SHS for anything. Our Sterling community is incredibly supportive and this gives our school strength to move forward. We now look ahead with a strategic vision for the future of The Sterling Hall School. At the Principal’s Dinner on November 27, I will share our expansion plans for the future. I hope you will join us. At the beginning of the school year, I wrote to you about the many innovative academic initiatives currently underway at SHS and how they are underpinned by our strategic core value of Sterling Learning. This month, reflecting on the character development provided by our experiential learning trips, it seems fitting to write to you about activities related to Sterling Character. Some might ask what is the purpose of these trips and how do they relate to Sterling Character. We strive to find a variety of outdoor experiences for boys in Grades 3 to Grade 8 that are scaffolded to help them build strength of character in a purposeful manner. These trips intentionally create an opportunity for boys to leave their familiar comfort zones, test their own limits and experience risk-taking -- all in a safe, supportive environment with trusted guides and facilitators. When boys succeed in overcoming challenges on these trips, they acquire confidence and resilience that will serve them well when they return to SHS and in all areas of their lives. As part of our September experiential learning week, boys in Grade 8 participated in a seven-day canoe trip in Temagami. This is a tough but rewarding trip and, from all accounts, a transformative experience. Boys are challenged to push themselves and work together to surmount difficulties. They take pride in their achievements on the trail, both individual and collective, and they come back with new confidence as our school’s student leaders. This year's Grade 8s certainly proved their mettle and we have witnessed their growth in the classrooms and hallways of SHS. Boys in Grade 6 and 7 visited Kilcoo Camp, where they focused on themes of teamwork and leadership, respectively. These two trips teach boys important skills and also serve as building blocks to prepare them for the culminating Temagami experience. Boys in Grade 3 experienced their first overnight trip to Mansfield. All of these trips are part of a purposeful outdoor education program that ultimately pays dividends in our graduates, who represent the best of Sterling Character with heightened confidence, resilience, kindness, respect for the world around them, and courage to look out for themselves and others. Character education at SHS is incorporated throughout our curriculum. As an example, our Citizenship initiatives help every boy at Sterling Hall to learn the importance of advocating for oneself and for others. On October 2, Grade 7 boys and our Agents of Change attended We Day, where they joined 20,000 youth and educators to learn how they can create change across the globe. Earlier, co-founder of Free the Children, Craig Kielberger, made a special presentation to our very own Grade 8 leader, Josh, who was one of ten Ontario students to receive The Governor General's Caring Canadian Award. Congratulations, Josh! Last Friday, our twenty-first Founder’s Day Terry Fox Run in support of cancer research showed boys just how much can be accomplished through their efforts and community support. This remarkable event brings together our entire community and the results speak for themselves. Sterling Hall is the top elementary school fundraiser in the world for The Terry Fox Foundation. What an incredible demonstration for our boys that, together, we can achieve great things and make a real difference. Our engaged and supportive community at Sterling Hall enables us to envision many more great achievements. Next month, I plan to write about our core value of Sterling Community and the many activities that support this. At the Principal's Dinner on November 27, I look forward to sharing exciting new initiatives that will shape the future of the school. I hope you will join us.